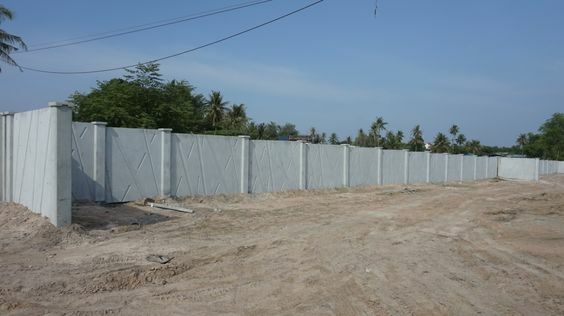 I'm looking to put up one of these pre-cast walls on the company land in Ban Chang. The length will be about 510 meters. We talked to SJC (Home - SJC) and then said that they can do it in about 2 weeks. I've been told that they cost is around 2,000 per meter. 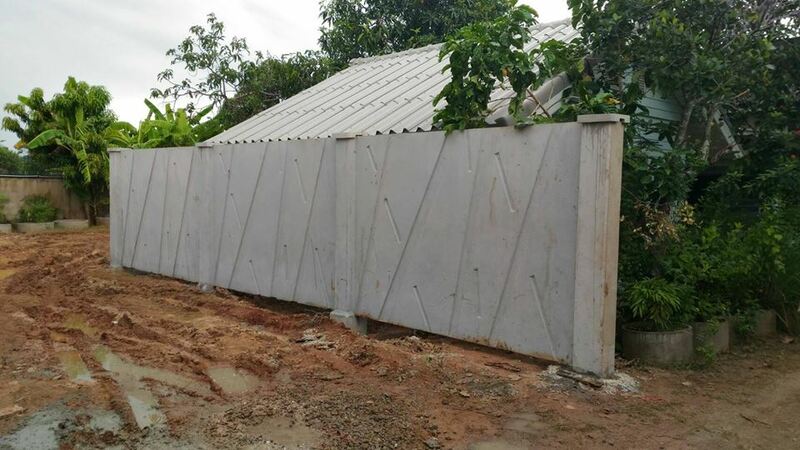 The posts go 2-3 meters into the ground (depending on which fence you order), are joined at a joiner box at ground level and then go up to 2 meters above the ground. Then you just slot the pre-cast concrete planks into the slots on the posts (tongue and groove). They are supposed to be pretty good and solid. 3) If anyone knows of alternate vendors in the Chonburi or Rayong area to get a second/third quote (company policy). 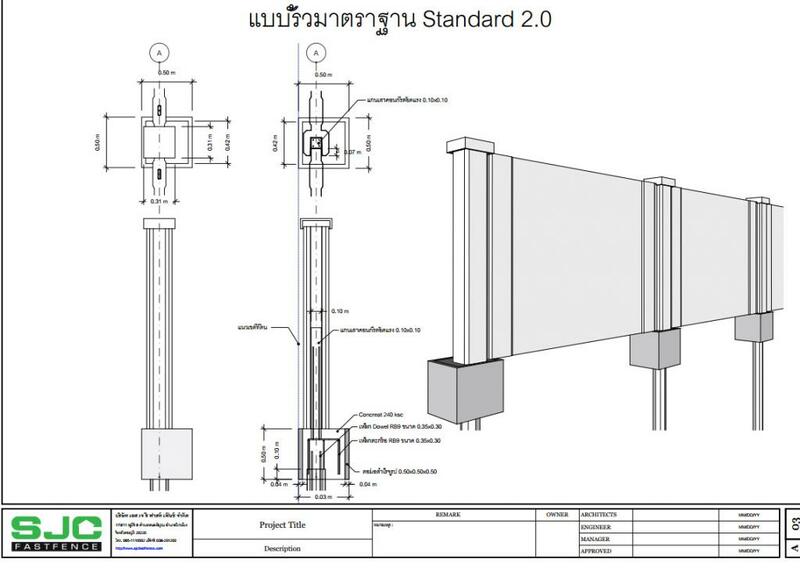 hi there Billy...is that 2000 THB / M for the basic structure or does it end up finished and looking like the promo photos on their website? 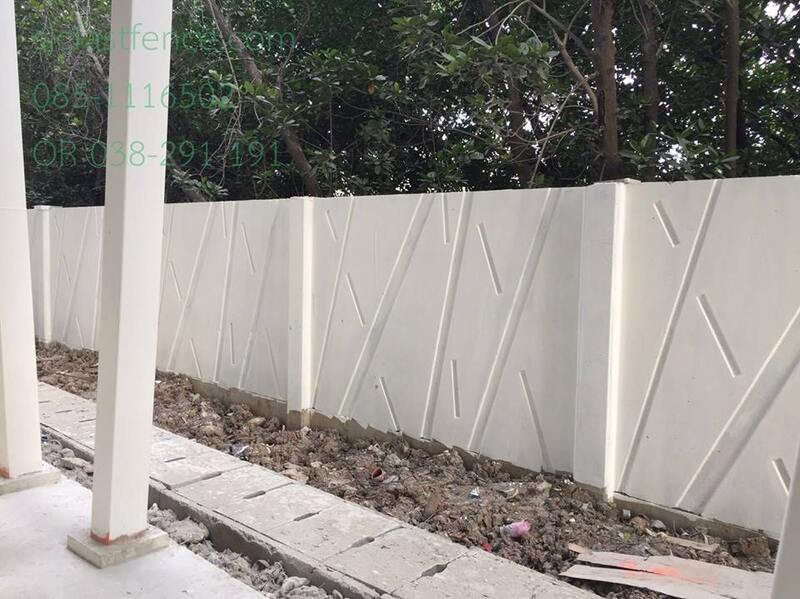 Some of the finishing is actually quite good and might be an alternative boundary wall option for me, later on. Its certainly cheaper than my current quote, if its the finished wall. Yes, that's 2,000 THB. That's for fairly soft ground. If you have hard ground then it will cost more (more digging involved). I've just been given the go-ahead to get an estimate. When I get the price-per-meter I'll update the thread here. Thanks for the info, Billy...looking forward to that update when you get the information.